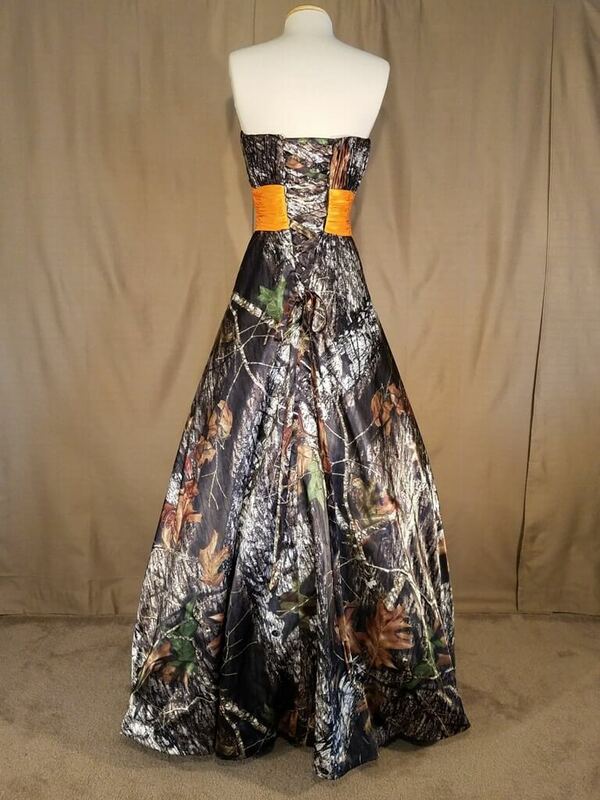 “Sz 16 – IN STOCK!! 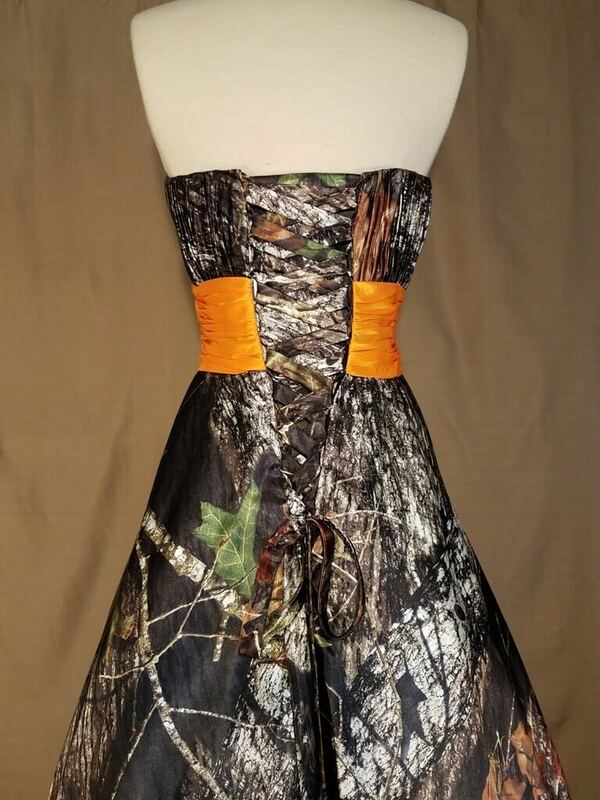 “This brand new, in-stock size 16 OLIVIA dress is one of the newest dresses we have designed and added to our collection. 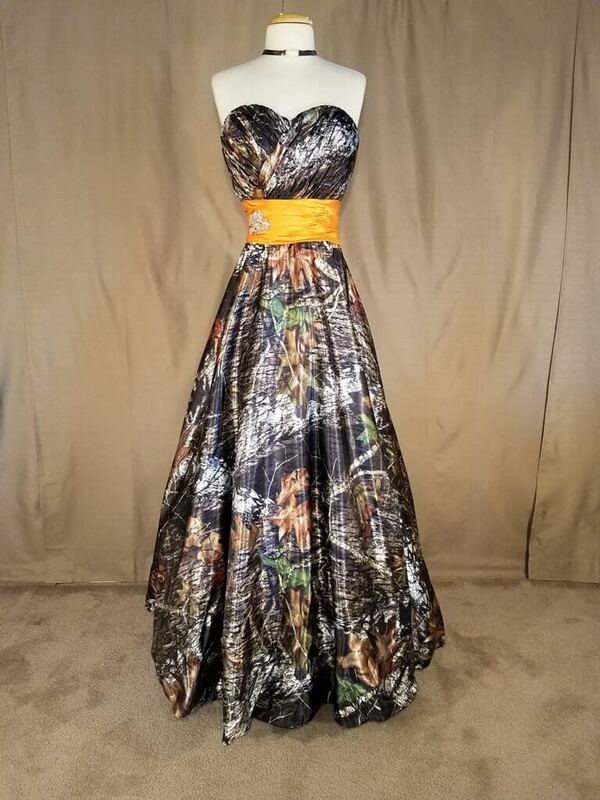 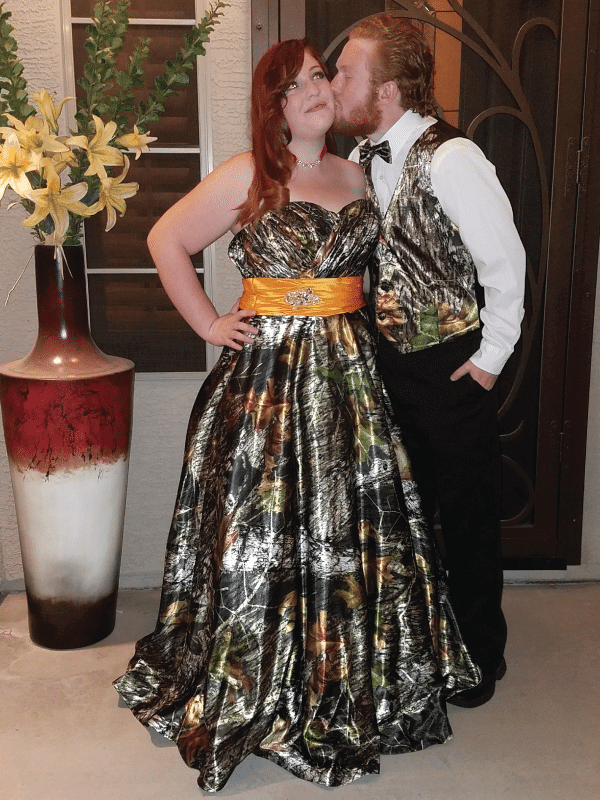 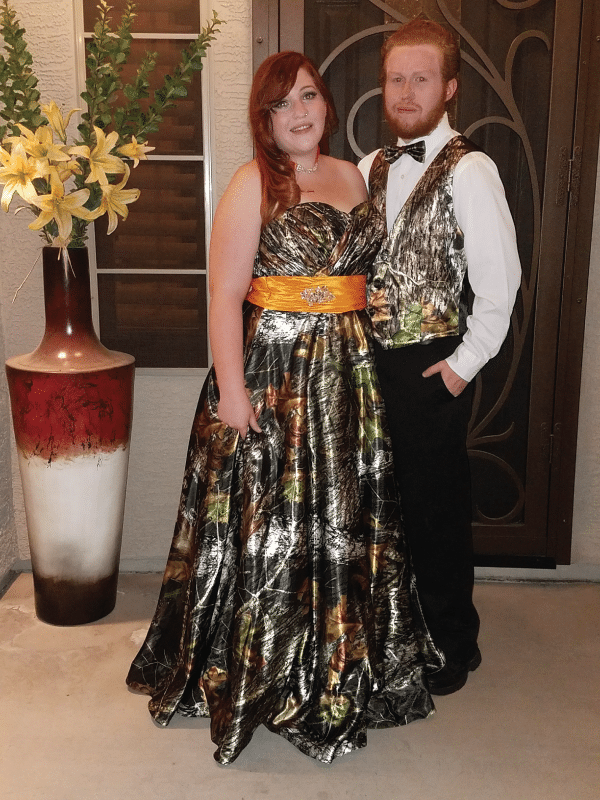 OLIVIA features a full length gown in Mossy Oak Break Up camo pattern, with a strapless sweetheart neckline, a ruched bodice, and just the perfect amount of sparkle with a hand-sewn rhinestone embellishment added to the Hunter Orange waist accent. 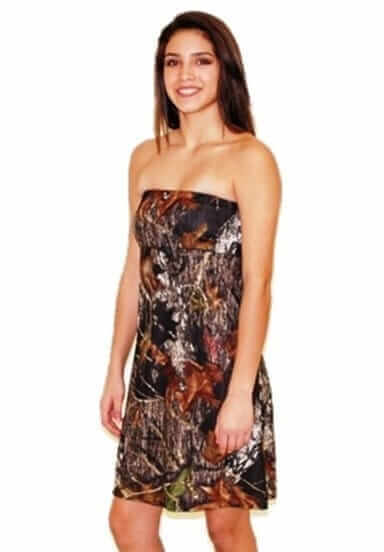 The dress has a corset back with a modesty panel and lace-up ties in Mossy Oak Break-Up camo. 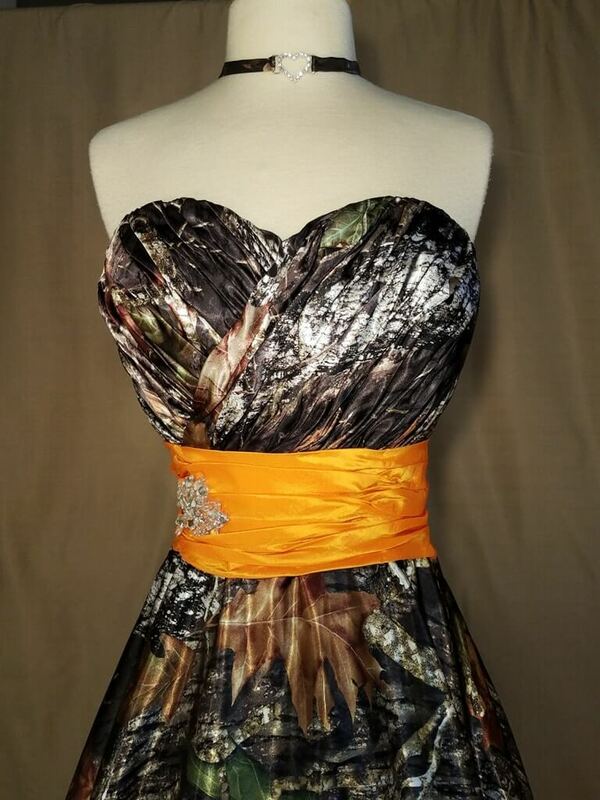 This dress also has an attached netting for fullness, and comes fully lined for comfort! 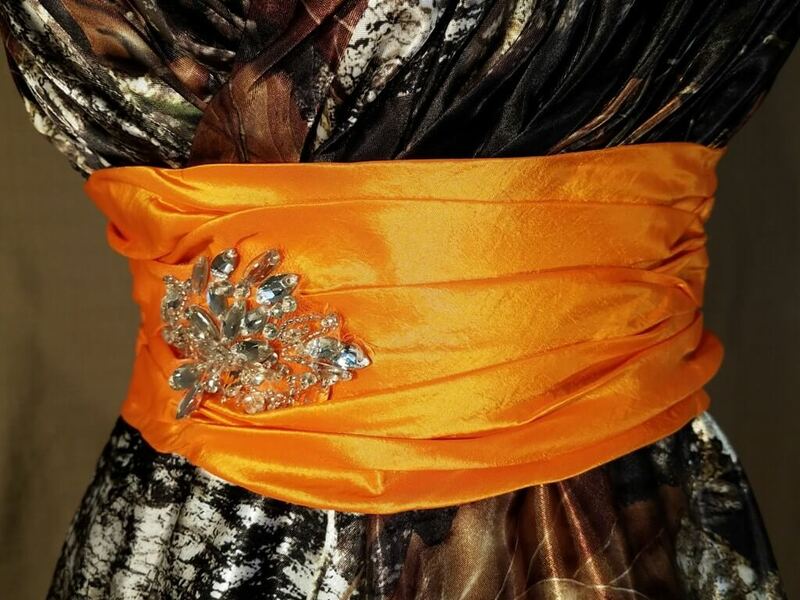 The attached pictures were taken without a crinoline, so if you desire more fullness we advise purchasing one.